Everything we source for our scarves – the tweed, cashmere and even our gift boxes are made in Scotland by some of Scotland’s best artisans, chosen for their outstanding craftsmanship, quality of work and pride in their craft tradition. The Made in Scotland label is synonymous with excellence, and we uphold those standards in the production of our scarves, which are designed and handmade here in Edinburgh. Click here to see our shop. 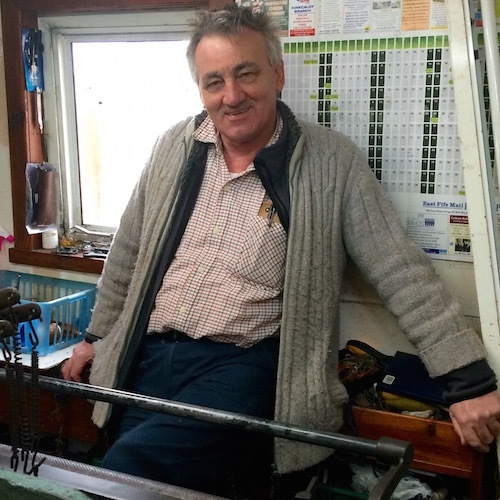 We are proud to work with individual weavers on the Island of Harris and Lewis, amongst whom is the celebrated Donald John Mackay MBE whose workplace looks out onto the famous beach at Luskentyre bay. 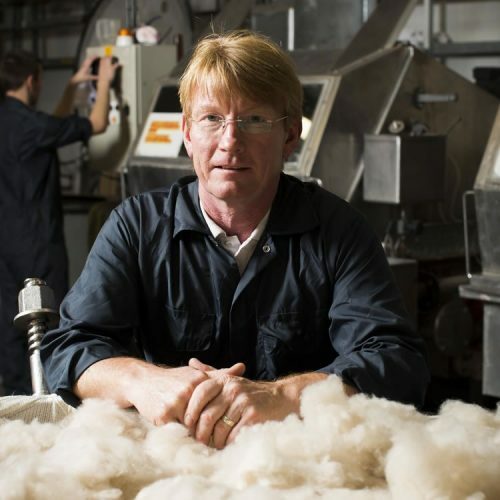 Like all weavers, Donald John works in conjunction with the local wool mill and the Harris Tweed Authority to produce the world famous Harris Tweed cloth. Our cashmere is woven in Scotland’s finest mills, where the soft water is ideal for washing the cloth. From the textile heartlands of the Scottish Borders in the south to the far north we only choose the finest cloth, working with small, exclusive businesses, as well as long established Scottish suppliers. Our scarves are hand-made by Edinburgh tailors, amongst who is Italian master tailor Giuseppe Cannati and his niece, Claudia. Giuseppe started his tailoring career at the age of ten and trained with Gucci in Milan and then worked with Louis Feraud in Paris. 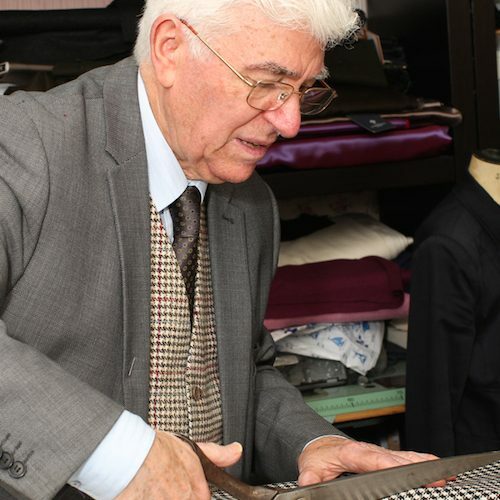 He is rightly proud of the quality of his workmanship and his loyal and devoted clientele are evidence enough of meticulous attention to detail and Italian sense of style. Our beautiful gift boxes are made in Scotland too! 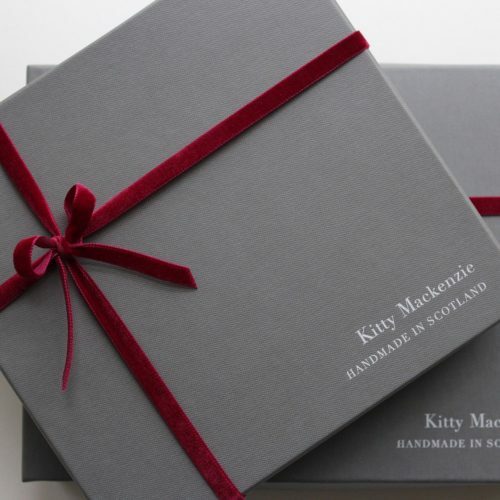 Our gorgeous gift boxes are handmade by Kingscroft, a small Scottish business, supplying high quality packaging with creative flair and attention to detail.